Miranda Armour-Chelu, Assistant Professor, Ph.D., London University, United Kingdom, 1993. Raymond L. Bernor, Professor, Ph.D. University of California at Los Angeles, 1978. Dr. Csoka received his B.S. in Genetics from the University of Newcastle, U.K., his M.Sc. 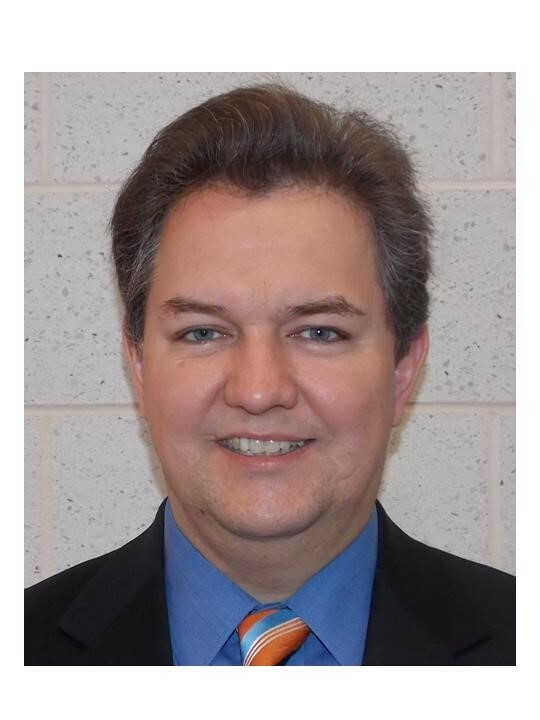 in Molecular Pathology and Toxicology from the University of Leicester, U.K., and his Ph.D. in Cell and Molecular Biology from the University of Debrecen, Hungary. He has performed postdoctoral research at the University of California, San Francisco, where he cloned the human hyaluronidase genes, which are involved in fertilization, embryonic development, and cancer. As a postdoctoral research associate at Brown University, Dr. Csoka was instrumental in the identification of the gene that causes Hutchinson-Gilford Progeria Syndrome (progeria), a disease with many features of “accelerated aging.” It is hoped that the identification of the gene for progeria will provide insights into the mechanisms of normal aging. 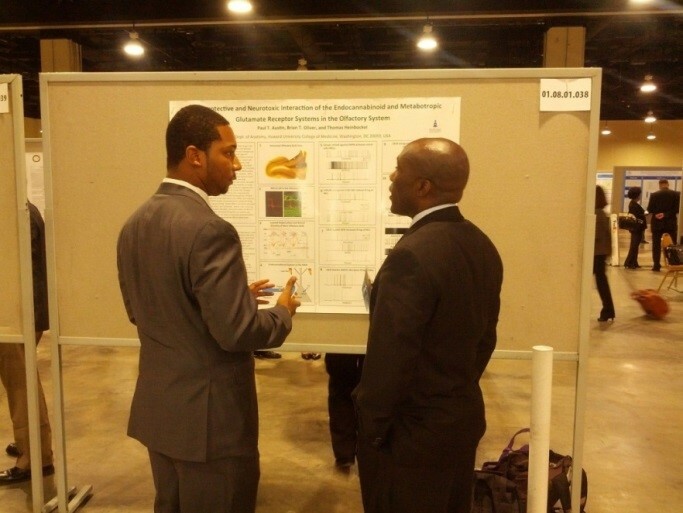 As an assistant Professor in the Department of Anatomy at Howard University, Dr. Csoka is developing animal models of progeria, studying the role of nuclear lamina dysfunction in human aging, and investigating the potential of induced pluripotent stem cells, cellular reprogramming and epigenetic rejuvenation for the treatment of age-related diseases. Rui Diogo, Assistant Professor, Ph.D., University of Liege, Belgium, 2003 & George Washington University, 2011. I am an Advisory Board Member of the Journal "Progress in Fish Research" (Gwalior, India), a Consortium Member of the "Timetree" project (book + website: www.timetree.org), an Editorial Board Member of the "Open Anatomy Journal", and a Member of the American Association of Anatomists. Daryl P. Domning, Professor, Ph.D, University of California, Berkeley, 1975. 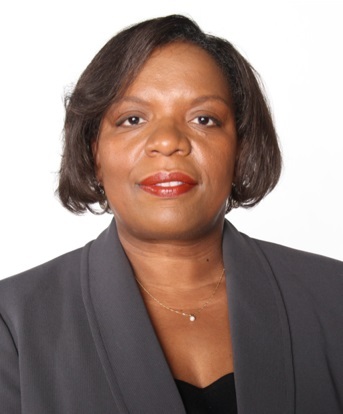 Edwin Gilland, Associate Professor, Ph.D.
Dr. Gondré-Lewis has served as a reviewer and is on the editorial board for many journals, on several grant review panels for the National Institutes of Health (NIH), and shares her work internationally. She is an author of numerous research articles, reflective of her broad background in developmental brain disorders and mechanisms of drugs of abuse. She has investigated disorders like Smith-Lemli-Opitz syndrome, Niemann-Pick disease, and other genetic brain diseases. She now focuses on both genetic and epigenetic (environmental experience) modulators of brain development and maturation, and how drugs impact this development. The laboratory has received funding from NIAAA, NIMHD, NINDS, NIGMS, NSF, as well as internal and corporate sources. Uncovering immediate and long-term behavioral, neuroanatomical and molecular disruptions caused by the experience of early life adversity and developmental drug exposure (nicotine) during prenatal life, infancy and adolescence. Investigating molecular bases of alcohol addiction and co-morbid neuropsychiatric disease as mediated by neuroinflammation, CRF, GABA, and other molecular circuits. Testing small molecules and natural products that target the reward pathway to improve cognition and affect in rodent models of stress and addiction. Targeting the genetic bases for opioid use disorder to develop effective treatments to restore dopamine homeostasis in humans—consideration for psychosocial determinants of brain health. Balan I, Warnock KT, Puche A, Gondré-Lewis MC, Aurelian L. Innately activated TLR4 signal in the nucleus accumbens is sustained by CRF amplification loop and regulates impulsivity. Brain Behav Immun. 2017 Nov 13. pii: S0889-1591(17)30509-3. Blum K, Badgaiyan RD, Dunston GM, Baron D, Modestino EJ, McLaughlin T, Steinberg B, Gold MS, Gondré-Lewis MC. The DRD2 Taq1A A1 Allele May Magnify the Risk of Alzheimer's in Aging African-Americans. Mol Neurobiol. 2017 Sep 30. doi: 10.1007/s12035-017-0758-1. Tao R, Davis KN, Li C, Shin JH, Gao Y, Jaffe AE, Gondré-Lewis MC, Weinberger DR, Kleinman JE, Hyde TM. GAD1 alternative transcripts and DNA methylation in human prefrontal cortex and hippocampus in brain development, schizophrenia. Mol Psychiatry. 2017 May 9. doi: 10.1038/mp.2017.105. Wang H, Gondré-Lewis MC. Prenatal nicotine and maternal deprivation stress de-regulate the development of CA1, CA3, and dentate gyrus neurons in hippocampus of infant rats. PLoS One. 2013 Jun 13;8(6):e65517. doi: 10.1371/journal.pone.0065517. Print 2013. Research in my lab is aimed at elucidating organizational principles of neural systems in the brain using electrophysiological, pharmacological and anatomical methods. In particular, we are interested in the functional organization of the limbic and olfactory system. In the limbic system our research activities have been centered on a subcortical structure of the vertebrate brain, the amygdala, a key brain site for emotion, fear, learning and memory. The amygdala is essential for developing an inner view of the outside sensory world and is thought to be one of the key structures for the interpretation of sensory information associated with motivation and emotion. The main goal of this line of work is to reveal functions of the amygdala at the cellular and network level and to integrate this knowledge into the functioning of higher order brain systems. Research on the amygdala includes topics such as synaptic transmission, neuromodulation, synaptic plasticity as well mechanisms for generating rhythmic and epileptiform activity. Olfaction is a fundamental sensory modality and provides us with some of our emotionally most stimulating and lasting memories, yet many of the mysteries of this modality, from the molecular to the systems level, still remain unknown. In addition, the olfactory pathway is unique in sending sensory information directly to the cortex and areas involved in emotion and memory (amygdala, limbic areas), and bypassing the thalamus as an intermediary step. In a rodent olfactory bulb slice preparation my lab uses patch clamp electrophysiology and imaging techniques to characterize biophysical, cellular and synaptic properties of neurons. The olfactory bulb is the first central relay station for olfactory information conveyed from the nasal epithelium by olfactory receptor neurons. The olfactory bulb contains output neurons (mitral and tufted cells) that transmit olfactory information to higher order olfactory structures and to other brain systems. The relay from the nose to mitral and tufted cells is strongly regulated by local intrabulbar circuitry, including inhibitory granule cells, and by centrifugal inputs to the olfactory bulb from other parts of the brain. 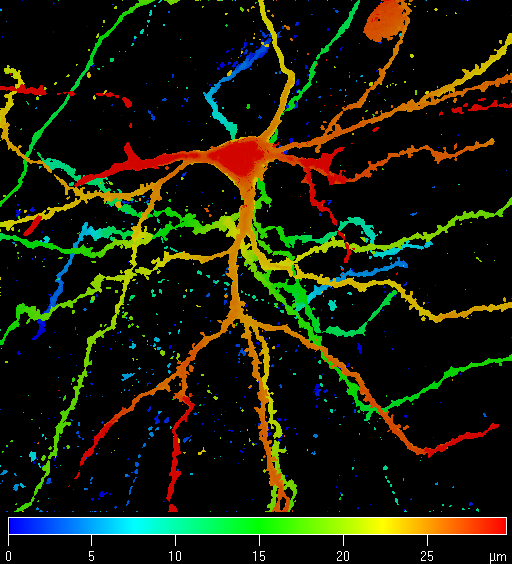 Questions that we address include: How do intrinsic and synaptic neuronal properties relate to information coding and neural network function of this system? What is the functional role of different neurotransmitter receptors (ionotropic and metabotropic) on these cell types? How do the various neuromodulator systems within the olfactory bulb and from centrifugal fibers shape the response to olfactory nerve input, as well as synaptic output to higher brain centers? My research on both the olfactory and limbic system has been directed at understanding mechanisms of information processing that form the basis of persistent functional changes in these systems and their relation to neurological and neuropsychiatric disorders. 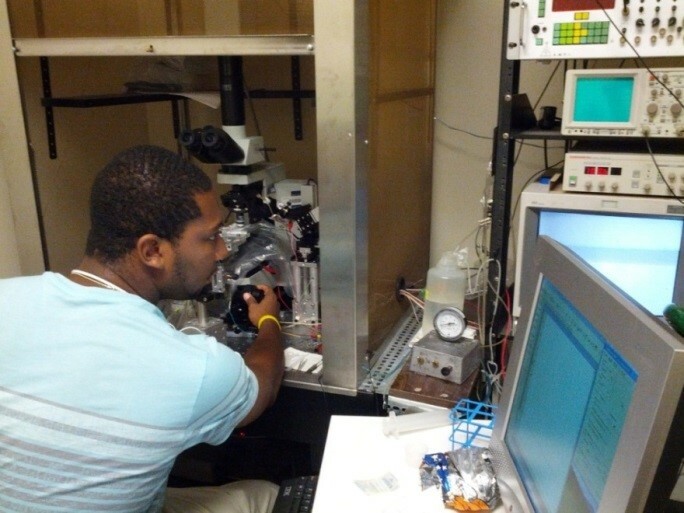 The laboratory has openings for technicians, graduate students, and postdoctoral fellows. Please email your CV and letter of interest. Irina A. Koretsky, Associate Professor, PhD., Howard University, 1999. Dr. Irina A. Koretsky is an internationally-known paleobiologist and authority on the fossil record of the mammalian Family Phocidae (true seals). In a research career extending back more than twenty-five years, including extensive field and museum studies in the former Soviet Union, eastern and western Europe, and most recently eastern North America, she has established herself as the world’s leading expert on the fossil seals of the Paratethyan (Eurasia), Mediterranean, and North Atlantic regions. Her peer-reviewed publications on this topic include two major monographs published or in press. 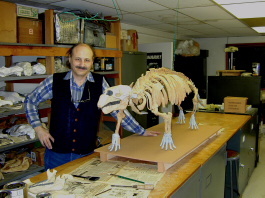 Dr. Koretsky’s research involves anatomy, physiology, and functional morphology, as well as systematic analysis of the true seals (Mammalia; Carnivora; Phocidae). She is pursuing two lines of research: (1) functional morphology, with emphasis on evolutionary and geographic origin of the seals; (2) the question of monophyletic versus diphyletic origin of pinnipeds. Most of her research effort is devoted to biomechanical and ecological interpretations of morphological characters of fossil seals. Morphological interpretation can provide a foundation for paleoecological reconstructions. Conversely, information on the environment in which early seals evolved is very important for pinniped systematics and classification. In addition to her current projects describing new fossil seals from the U.S. and Europe, Dr. Koretsky (with Dr. L. G. Barnes of Los Angeles) is working on a new phylogenetic analysis addressing the issue of pinniped diphyly. This is the single most controversial issue in the entire realm of mammalian interordinal relationships. James Steven Wilson, Associate Professor, Ph.D., Medical College of Virginia, 1978. My laboratory is studying the causes and possible cures of Parkinson's disease, a major neurological disorder affecting primarily the elderly. Recently, a major advancement was made in this field with the discovery of 1-methyl-4-phenyl-1,2,3,6-tetrahydropyridine (MPTP), which produces a Parkinsonian-like syndrome when injected into certain laboratory animals. Using this selective neurotoxin, we are studying at the light and electronmicroscopic levels the spatio-temporal process of neural degeneration. These studies have provided important insights into the organization of the nigrostriatal system (the area damaged in idiopathic and MPTP-induced Parkinson's disease) and the mechanism of MPTP's selective toxicity. We are also studying the physiological effects of MPTP with the hopes of understanding the function of the nigrostriatal system and its neurotransmitter, dopamine, in normal and pathological brains. studying the evolution and development of head muscles in larval amphibians. craniofacial muscles. Genesis, 2018, e23097. forsteri. Journal of Morphology, 2018, 279.4: 494-516.
canicula: implications for the evolution of the gnathostome head and paired appendage musculature. Frontiers in Zoology, 2017, 14.1: 31.
modes: direct development versus biphasic development. Journal of Morphology, 2014, 275.4: 398-413. Shaolin Liu, Assistant Professor, PhD, Peking Union Medical College, Postdoc, Yale University and Case Western Reserve University. Current research in my lab focuses on how sensory information is processed at the cellular and circuit levels with a model of the mouse olfactory system, a highly conservative sensory modality with output directly to the limbic system and heavy involvement in emotion, learning and memory in humans. Specifically, our present research project addresses fundamental questions on the anatomical and functional organization of neural pathways in the olfactory systems by capitalizing on cutting-edge technologies, including cell type-specific opto- and chemo-genetics combined with in vitro and in vivo electrophysiology, in vivo calcium imaging, immunohistochemistry, confocal imaging as well as behavioral approaches. Our work is presently supported by federal fund from NIH and has led to important findings published in high-profile peer-reviewed journals. 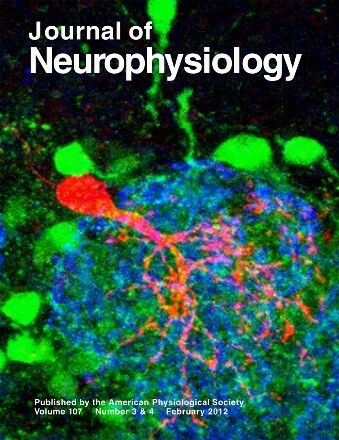 Ongoing and upcoming research also includes neuromodulation of information processing in the limbic system with particular concentration on the amygdala and entorhinal cortex, both of wihch receive direct synaptic input from the olfactory bulb and are heavily targeted by serotonergic, cholinergic, and dopaminergic modulation. Dysfunction of each of these neuromodulatory systems is involved in a series of neurological and neuropsychiatric disorders including anxiety, depression, Schizophrenia, Autism, Alzheimer's disease (AD), Parkinson's disease (PD), many of which have olfactory deficit as their early stage symptom. Thus, understanding the mechanisms of olfactory dysfuntion in these disease conditions is of importance to human health as it potentially helps us develop approaches for early diagnosis and pinpoint the underlying physiological and pathophysiological mechanisms. 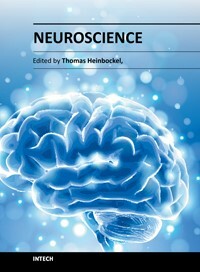 Our goal is to unveil the organizational and functional mechanisms underlying signal processing in these limbic subregions and how neuromodulation contributes to olfactory dysfunction and other behavioral abnormalities in these neurological or neuropsychiatric disorders by capitalizing on our cutting-edge multidisciplinary approaches and transgenic and/or pharmacological animal models. We have published peer-reviewed articles in the following journals. Liu X & Liu S#. 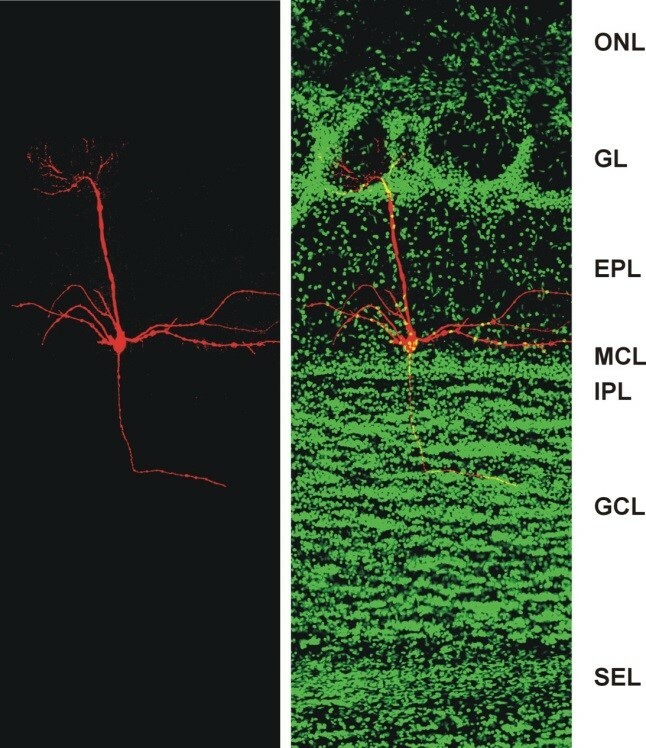 (2018) Cholecystokinin selectively activates short axon cells to enhance inhibition of olfactory bulb output neurons. J Physiol, 596: 2185-2207. Liu S#, Puche AC, Shipley MT. 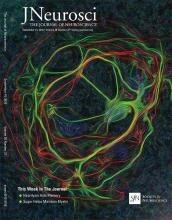 (2016) The interglomerular circuit potently inhibits the olfactory bulb output neurons by both direct and indirect pathways. J Neurosci 36: 9604-9617. Liu S#, et al. (2015) Muscarinic receptors modulate dendrodendritic inhibitory synapses to sculpt glomerular output. J Neurosci 35:5680-5692. Liu S#, Plachez C, Shao Z, Puche AC, & Shipley MT (2013) Olfactory bulb short axon cell release of GABA and dopamine produces a temporally biphasic inhibition-excitation response in external tufted cells. J Neurosci 33:2916-2926. Liu S, Aungst JL, Puche AC, & Shipley MT (2012) Serotonin modulates the population activity profile of olfactory bulb external tufted cells. J Neurophysiol 107:473-483. Liu S & Shipley MT (2008) Multiple conductances cooperatively regulate spontaneous bursting in mouse olfactory bulb external tufted cells. J Neurosci 28:1625-1639. Liu S & Shipley MT (2008) Intrinsic conductances actively shape excitatory and inhibitory postsynaptic responses in olfactory bulb external tufted cells. J Neurosci 28:10311-10322. I received a Ph.D. in Anatomy from the Department of Anatomy at the Howard University College of Medicine (HUCOM) in Washington D.C. My dissertation was titled “Hindbrain Neurovascular Anatomy of Goldfish and Zebrafish, with a Comparative Analysis of Brainstem Vasculature in Vertebrates” and was prepared under the tutelage of Dr. Edwin Gilland. My research involved vascular injections and microdissection of the brains of numerous vertebrate taxa in order to demonstrate brainstem vascular supply and evaluate the blood supply to neurons in hindbrain serial sections. Numerous imaging techniques were utilized, including fluorescent confocal microscopy and microCT. I expanded my dissertation research into the most complete survey on vertebrate hindbrain vasculature to date, examining the carotid-basilar arterial tree and hindbrain penetrating branches (Rahmat and Gilland, 2014). My current research focuses on developmental and evolutionary biology, using my background in anatomy and neuroanatomy. 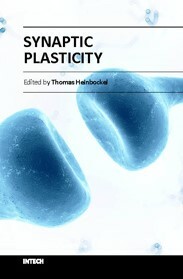 I am interested in: 1) the neuronal and vascular development of the brain in vertebrates, working primarily on the model teleosts goldfish and zebrafish; and 2) correlating the osteology of seals (fossil and modern) and carnivorans (terrestrial and marine) with ecological, biogeographical and morphological implications. I am involved in collaborative studies with scientists within Howard University (Drs. Gilland, Heinbockel, and Koretsky) and outside of Howard (multiple collaborators from Marine Biological Laboratory, Woods Hole Oceanographic Institute, New York University Langone Medical Center, Cornell University, Smithsonian National Museum of Natural History, Calvert Marine Museum and American Museum of Natural History). Despite a long history of anatomical studies, the vascular organization of the brainstem is poorly known in most vertebrates. My research examines results from the past 150 years and compares them with a series of new vascular micro-dissections to provide an overall assessment of vertebrate hindbrain vasculature. Although there are obvious differences in vertebrate body size and habitats, I was able to demonstrate a highly conserved suite of hindbrain vascular features in a wide range of taxa. My thesis and the initial journal article stemming from it are the first publications to demonstrate fully that the neurovascular pattern in teleost fish is unique among vertebrates and likely constitutes a fundamental adaptive innovation contributing to the immense success of this group. The series of midline segmental central arterial stems arising from the basilar artery and the intramural vascular branching pattern within the sub-ependymal zone of the hindbrain found in teleosts points to new areas of neuro-anatomical and embryological studies that I am currently pursuing. As a result, I currently am the Principal Investigator (PI) on an extramural grant examining the neuronal and vascular anatomy of the goldfish hindbrain. In addition, I am the PI on an NSF Grant submission (currently under review) that will use transgenic zebrafish lines, with fluorescent neurons, circulating blood cells and endothelial cells, to define and reconstruct larval and adult zebrafish neuronal and vascular anatomy in two areas of the brain with clear behavioral and structural features: the olfactory bulb and hindbrain. 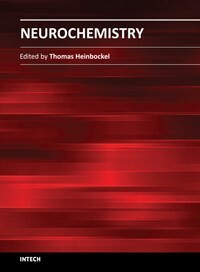 Once the neurovascular anatomy has been mapped, I plan to perform future studies to demonstrate the regulation of blood flow during neuronal activity in these two areas in zebrafish, using various odorant stimulants for the olfactory bulb and anoxic/hypoxic stimuli for hindbrain respiratory centers. My collaborative work on fossil true seals (Phocidae) includes identifying the first record of fossil Cystophorine seals with obvious pachyosteosclerotic bones, including naming a new genus (Pachyphoca) with two new species (P. ukrainica and P. chapskii). I also described a new monachine seal genus (Terranectes) and two new species (T. magnus and T. parvus) from fossil finds off the coast of the Chesapeake Bay. I am the PI on another extramural grant examining pachyosteosclerosis in seals. I have published studies on the comparative examination of mandibular morphology in fossil and Recent seals, marine mammals and some terrestrial carnivores and an extensive morphological review focusing on the origin and dispersal of seals. My findings have improved the classification of true seals and have enhanced knowledge of general morphology. Future projects I plan to pursue include the first comparative description of inner ear structures of terrestrial and marine carnivorans, and the first detailed study of the neurocranium of seals. The cladistic, morphological and morphometric analyses in my studies have resulted in emended diagnoses and redescriptions to clarify phylogenetic relationships within Phocidae. My comparative anatomy research, covering not only neurovascular anatomy of transgenic zebrafish, sectioned goldfish, and a broad range of vertebrates, but also the musculoskeletal morphology of terrestrial and marine carnivorans, provides me with an expansive background to work in numerous fields. 2017 Irina Koretsky and Sulman J. Rahmat. Preliminary report of pachyosteosclerotic bones in seals. Open Access Research in Anatomy. 1:1-3. OARA.000501.2017. 2017 Sulman J. Rahmat, Irina Koretsky, Jason E. Osborne and Aaron A. Alford. Miocene Seals from the Western Shore of the Chesapeake Bay. Vestnik Zoologii. 51(3): 221-242. 2016 Irina Koretsky, Larry Barnes and Sulman J. Rahmat. Re-evaluation of morphological characters questions current views of pinniped origins. Vestnik Zoologii. 50(4):327-354. 2016 Sulman J. Rahmat and Irina Koretsky. First record of postcranial bones in Devinophocaemryi (Carnivora, Phocidae, Devinophocinae). Vestnik Zoologii. 50:71-84. 2015 Sulman J. Rahmat and Irina Koretsky. Diversity of mandibular morphology in some carnivorans. Vestnik Zoologii. 49:267-284. 2015 Irina Koretsky and Sulman J. Rahmat. A New Species of the Subfamily Devinophocinae (Carnivora:Phocidae) from the Central Paratethys. Rivista Italiana di Paleontologia e Stratigrafia, 121(1):1-17. 2015 Irina Koretsky, Noud Peters and Sulman J. Rahmat. New findings of Praepusa (Carnivora, Phocidae, Phocinae) from the Central Paratethys supports east to west Neogene dispersal of true seals. Vestnik Zoologii. 49(1):457-466. 2014 Sulman J. Rahmat, Edwin Gilland, and Thomas Heinbockel. Maturation of vascular anatomy in the zebrafish brain. The FASEB Journal. Vol.28, No.1, Suppl.726.1. 2014 Irina Koretsky, Sulman J. Rahmat and Noud Peters. Rare Late Miocene Seal Taxa(Carnivora, Phocidae) from the North Sea Basin. Vestnik Zoologii, 48(5): 419-432. 2014 Irina Koretsky, Sulman J. Rahmat and Noud Peters. Remarks on Correlations and Implications of the Mandibular Structure and Diet in some Seals. Vestnik Zoologii, 48(3):255–268. 2014 Sulman J. Rahmat and Edwin Gilland. Comparative Anatomy of the Carotid-Basilar Arterial Trunk and Hindbrain Penetrating Arteries in Vertebrates. The Open Anatomy Journal. 6:1-26. 2013 Irina Koretsky and Sulman J. Rahmat. First Record of Fossil Cystophorinae (Carnivora, Phocidae): Middle Miocene Seals from the Northern Paratethys. Rivista Italiana di Paleontologia e Stratigrafia. 119:325-350.